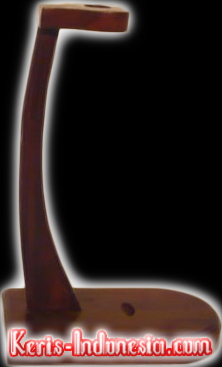 Regular model of a keris holder/stand. Handmade from high quality teakwood. Sealed in plastic for shipping.